​Since 2007 Pure Element a dermalogica facial skin centre located in Ang Mo Kio the central of Singapore, aims to provide the best dermalogica facial in Singapore. With effective facial & body treatments using the highest hygiene facial treatment standard and the most natural dermalogica, a skin care facial brand system researched & developed by the International Dermal Institute free of common irritants and facial ingredients that could cause facial breakout including lanolin, SD alcohol, mineral oil, artificial colors and fragrances for both men and women. It is widely use by recognized skin centre like Aster Spring Singapore. Are you looking for a good & reliable skin treatment centre? Look no further! We promise to provide the most professional and reasonable prices in Singapore! 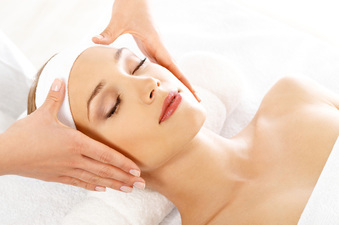 We promise you amazing result in just one facial treatment! We are specialize in facial and body treatments with well trained dermalogica skin facial specialist to serve you with 100% passion. Unlike other facial centre, hard selling of facial packages, we strongly focus on quality, one to one facial services to our client and we promise to assign the most experience dermalogica facial aesthetician to follow up in every facial treatments. We are equipped with the latest microscopic dermalogica facial skin analysis device from Korea which can view up to 300 times that we cannot see with our naked eye. This defined facial skin analysis procedure enhances the monitoring of customers’ facial treatment process, enabling any changes of facial skin conditions.